...was 20 years ago today. 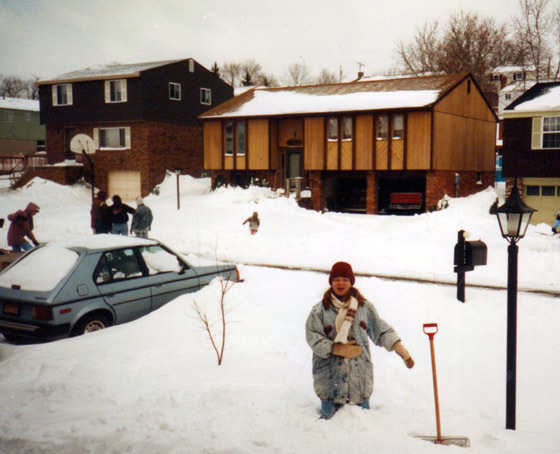 Here's my then 15 year old daughter Sara digging out the front walk. The snow was heavier in the back of the house, almost up to her waist.